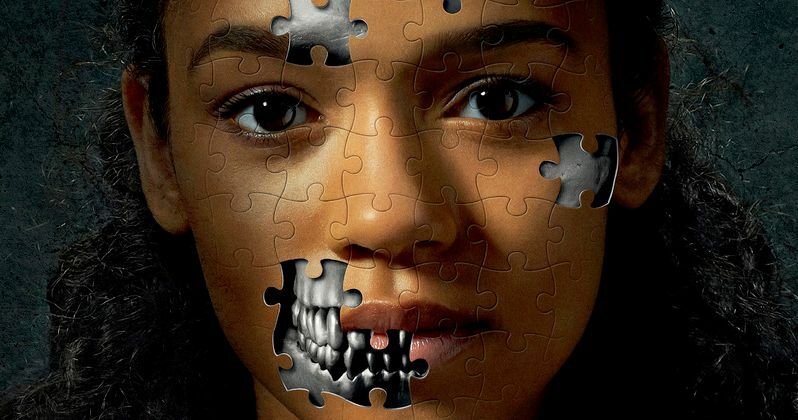 Now that Saw is on permanent hiatus until Lionsgate once again decides to reboot the popular horror franchise, we're getting the much tamer Escape Room, which basically follows the same premise, as spelled out in the tagline on the first one-sheet, 'Find the Clues, or Die!' Sounds familiar enough, doesn't it? Sony has also released the first trailer for this thriller which is coming very early in 2019. In fact, it's so close, you can almost taste the stainless steel in your mouth. Escape Room is a psychological thriller about six strangers who find themselves in circumstances beyond their control and must use their wits to find the clues or perish in the most horrible way possible. Yup, sounds like Saw to us. And sure, Escape Rooms have become a popular pastime for people who want to torment themselves these past few years. But let's face it. Saw was the first and most original Escape Room. So who are they trying to fool? Adam Robitel is directing Escape Room from a screenplay written by Bragi Schut and Maria Melnik, from a story Bragi Schut concocted on his own. Robitel got his start in Hollywood as an actor, making his on-screen debut in 2000's X-Men. He also appeared in 2001 Maniacs: Field of Screams and the horror anthology Chillerama. He even gives himself a nice juicy role in Escape Room. Seriously, why else even direct if your not going to throw your face in front of the camera? It was on the set of 2001 Maniacs that Adam got a taste for directing, shooting a short documentary about the movie. And he even has ties to the creators of Saw, as he shot several supplemental shorts for Insidious: The Last Key, another franchise that sprang from the minds of James Wan and Leigh Whannell. He made his directorial debut in 2014 with The Taking of Deborah Logan. Escape Room marks his biggest movie to date. The cast here is made up of mostly newcomers. The ensemble features Taylor Russell, Logan Miller, Deborah Ann Woll, Jay Ellis, Tyler Labine, Nik Dobani, and York van Wageningen. Perhaps you'll recognize Deborah Ann Woll from her role as Karen Page on Netflix and Marvel's Daredevil. And Tyler Labine is the most recognizable name in the group, starring in Tucker and Dale Vs. Evil and Rise of the Planet of the Apes. But this is a low budget thriller, so it's able to give some good talent a break by allowing them to scream their faces off. It's okay that this is a straight up rip-off of Saw. It could still find its niche amongst thirteen year old girls that aren't allowed to see that horror show yet. As it's one of the first movies of 2019, opening on January 4, it will probably prove to be a hit with post-holiday crowds daydreaming about locking up their relatives and torturing them. You can check out the trailer and poster direct from Sony.